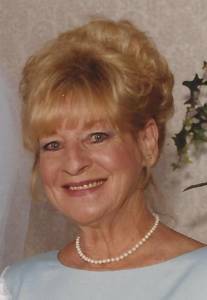 Joan P. Dunn 78 Passed away April 18, peacefully surrounded by family. She is preceded in death by her parents Halley and Genevieve Hayes and brothers Bob and Don. Loving wife of 25 years to Ronald. Beloved mother of Daryl Reddick(Amy), Joey Reddick(Tina) and stepmother of Julie Dunn. Cherished grandmother of Summer and Skylar. Dear sister of Richard, Peter, Sandy and Jim. Family will receive friends Friday from 2-9pm at Neely-Turowski Funeral Home 30200 Five Mile (Between Middlebelt and Merriman).